Our second day in paradise was without a doubt the hottest of the whole trip hence my opting for another off the-shoulder-top look. 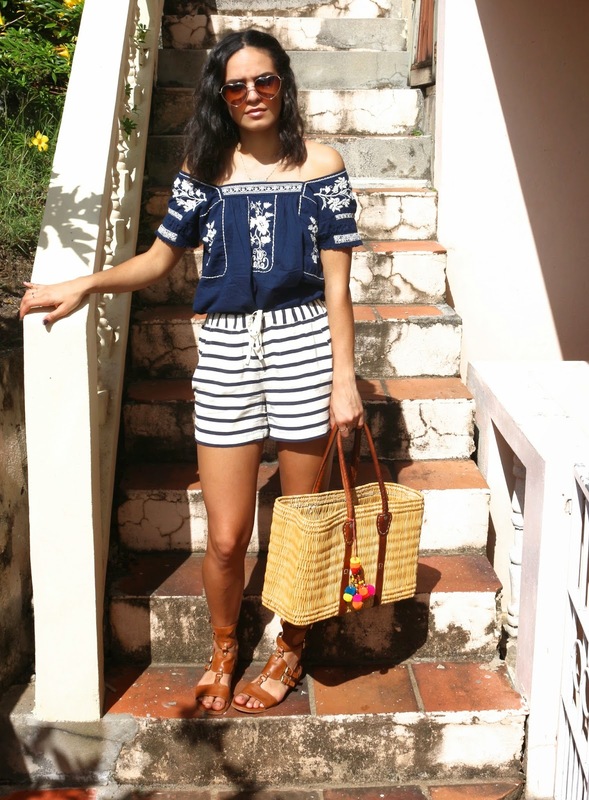 We were on a mission to find the beautiful blue waters of the St. Lucian beaches this day so easy-breezy pieces were a must. I kept it simple with the accessories: dainty stacked rings, my go to name necklace (which is turning now *merp*) and of course the mandatory sunnies. 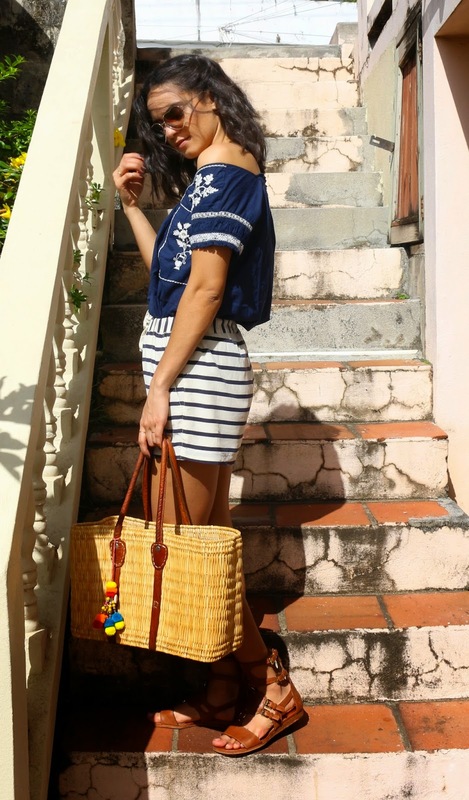 I used this structured straw bag pretty much everyday in St. Lucian as it was big enough to fit all my essentials for the day but small enough to trot around. It's essentially my favorite summer bag now and the best thing about it was definitely the price! I scored this bad boy for $1.99 at my local Goodwill Outlet. I know, aggressively cheap! When nearing the beach I switched out my gladiator sandals for flip-flops and my perf straw bag for a smaller cross-body (to not get sand stuck on it) and of course took off all jewelry to avoid awkward tans. I'm off to work now! Hope you all have a wonderful hump day and enjoy the amazing weather we definitely deserved!